Calling all tutors, artists, editors, storytellers, and nurturing mentors of every stripe! 826 Valencia is hosting an exclusive volunteer orientation for HCSF members, to create an opportunity for alum to lend their skills to supporting and amplifying youth voices through this unique community service partnership. 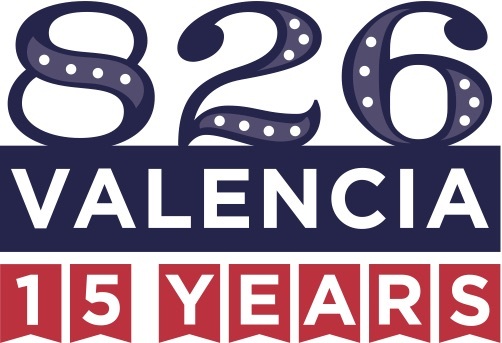 826 Valencia is a nonprofit organization dedicated to supporting under-resourced students ages six to eighteen with their creative and expository writing skills, and to helping teachers inspire their students to write. Our programs are structured around the understanding that great leaps in learning can happen with one-on-one attention, and that strong writing skills are fundamental to future success. Volunteers are the heart and soul of our programs. We’re looking for incredibly caring individuals who are relentlessly positive, see all students as having potential, and promote a love of learning. To Bring: $1.80 (or more!) as a donation to support this opportunity - All student programs at 826 Valencia are free of cost for youth, thanks to the generosity of volunteer and donor support. In this orientation you will learn about 826 Valencia’s unique educational approach and gain the skills you need to become a tutor superhero. This orientation is required for volunteering. During orientation, 826 staff will recommend you for an individualized tutoring opportunity based on your interests and availability.